CMP will be hosting a training to help aspiring entrepreneurs find out the best way to launch and grow e-commerce business on Amazon on Wednesdays, April 3rd and April 10th! 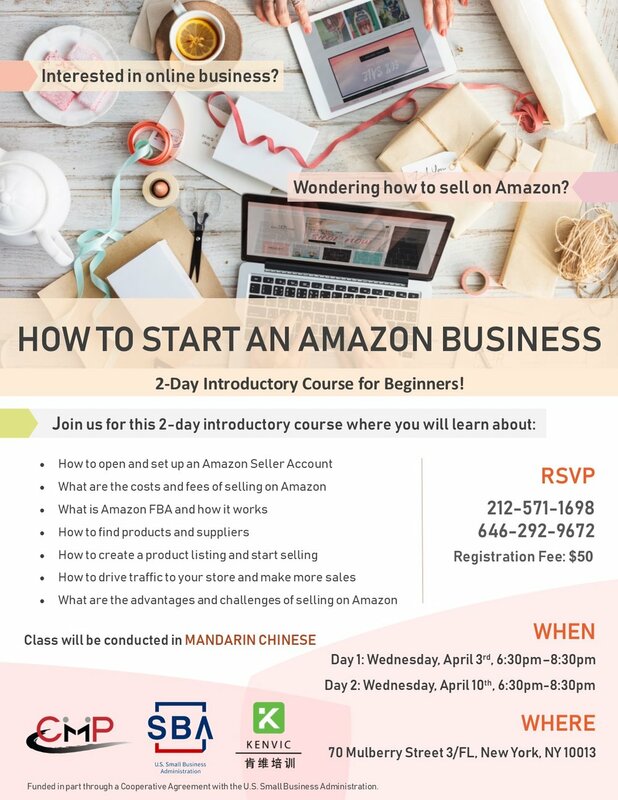 The training is designed to help you learn all the essentials to start and run a thriving e-commerce business, from how to set up an Amazon Seller Account, how to find products and suppliers, to how to drive traffic to your store, and many other skills needed to successfully run your Amazon business. For more details, please contact 917-626-8161 or 646-292-9672, or visit us at 70 Mulberry St, 3rd FL, New York City.